05 April 19 - Source: Myanmar Times - The grand entrance gate is built using hundreds of discarded water bottles. In the entrance of the gate, huge curtains hang, made from sewn together instant coffee packs. It is ostensibly revolting. A literal palace of trash, but people want to take selfies with it. In fact, people couldn't wait to squeeze into the alley between 35th Street and Mahabandoola Park Street on the evening of the 23rd March to see the spectacle. It was especially fun for the children. When one gets close to the structure, they can make out words scribbled across the walls. All the messages concern plastic use, and waste, in the city. It's designed to make an impact. "I can't imagine how tall the curtains would be if I created them using every instant coffee mix pack I've ever opened," one Mr. Jonathan said. "A Lifetime of Plastic Consumption, 25 Years Ago and Today" is about making a direct impact on the public of Yangon. The project comes care of Thant Myanmar, a grassroots movement working specifically in plastic waste reduction. They are supported by Yoma Bank. The plastic building is the product of a partnership between art collective ChuChu and Thant Myanmar. The building wasn't there to shock people, per se, but to demonstrate that looking at plastic items as one-use-and-forget was limiting the opportunities the community had to be sustainable. Thant Myanmar was quick to comment on the irony of the public spectacle. "It was once garbage that everyone ignored, but now it is interesting. People are sharing photos of it on social media," a representative said. 35th Street is in on the project. It now has a zero-plastic waste policy. The growing concern over plastic in the city has reached the ears of politicians now, as well. Daw Kyi Pyar, a member of the Yangon Region Hluttaw, received praise for her speech in parliament detailing the issue and admonishing the government's slow response to community concern. "Preparing the constitution and solving the commodity prices rise is important, but the plastic problem is important too. We're very late to addressing the issue, there's no doubt of that", Daw Kyi Pyar said. 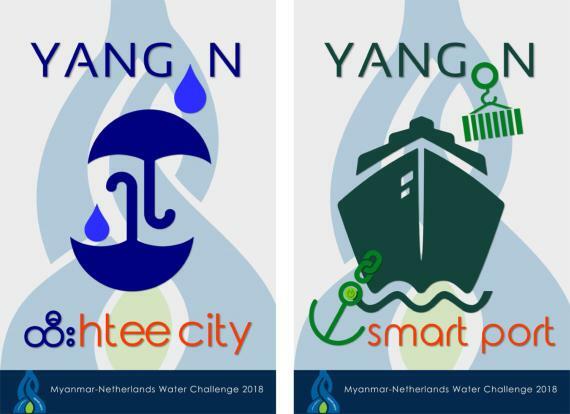 Kyauttada and Pabetan Township, Yangon, are planning to become 'Smart Townships', and plastics waste has been identified as one of the main barriers. The government will be supporting efforts to reduce plastic waste there very soon, according to Daw Kyi Pyar. 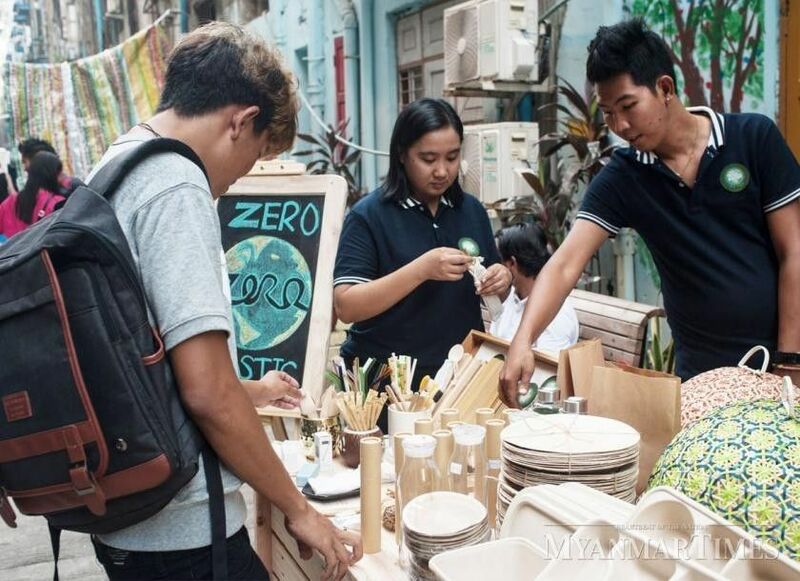 Thant Myanmar reports that on average, Yangonites use ten times more single-use plastic today than they did 25 years ago. "Plastic doesn't decompose, and it's not disposed of properly. It just piles up, and suddenly we're living in a garbage heap," Daw May Thet Htwe, PR and community engagement leader, said.